I live in Europe, how can I buy a Dodge or Ram vehicle? 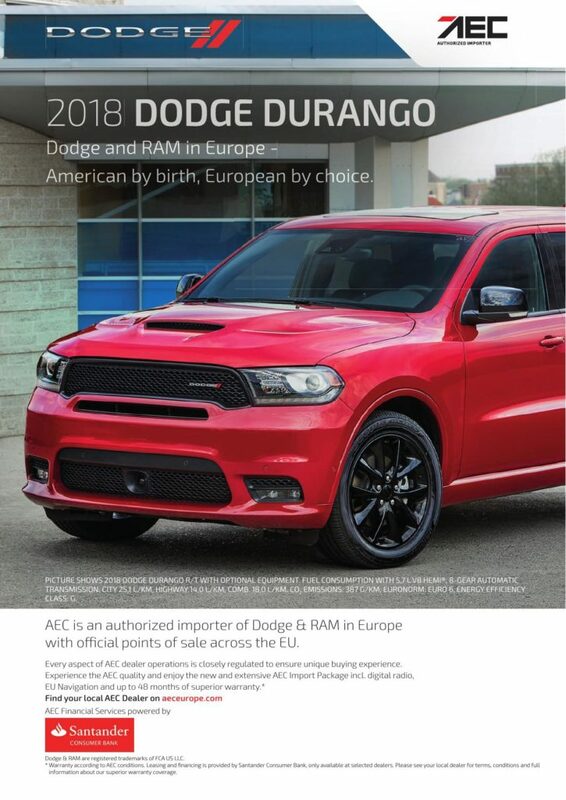 AEC Europe is an authorized importer of Dodge & RAM vehicles in all EU countries and Switzerland. With over 400 points of sales assures you can find a reliable AEC partner in your area. Our unique distribution system allows you to benefit from all the services that AEC has developed for the European market. To find a local AEC dealer, please visit our dealer locator or contact our customer service center with your request, which will forward it to closest AEC dealership. I cannot find the model selected on the North American manufacturer website. Can I still buy it? AEC Europe orders models compatible with the European requirements in terms of emission standards, technical capacities, weight restrictions, lights, tires and other factors that might restrict the ability to import a certain model. Our carefully selected Dodge & RAM models can be imported into European countries. Importing a different model might result in higher import duties and limit your ability to register the vehicle due to emission restrictions. I would like to custom order my vehicle. How long will it take? It will strongly depend on the options and color combination you want to order. The majority of combinations are usually stocked in two central warehouses and can be quickly sent to your dealer. To ensure that you have the correct delivery time, contact your AEC dealer or our customer service center with your request, which will be forwarded to your closest AEC dealership. I would like buy a Dodge or RAM vehicle. Where is AEC located? AEC Europe is the supplier and a network of participating dealerships across Europe. If you want to visit a participating dealership, please visit our dealer locator to find the dealer closest to you. Alternatively you can contact our customer service center with your request and we will forward it to the nearest AEC dealership. 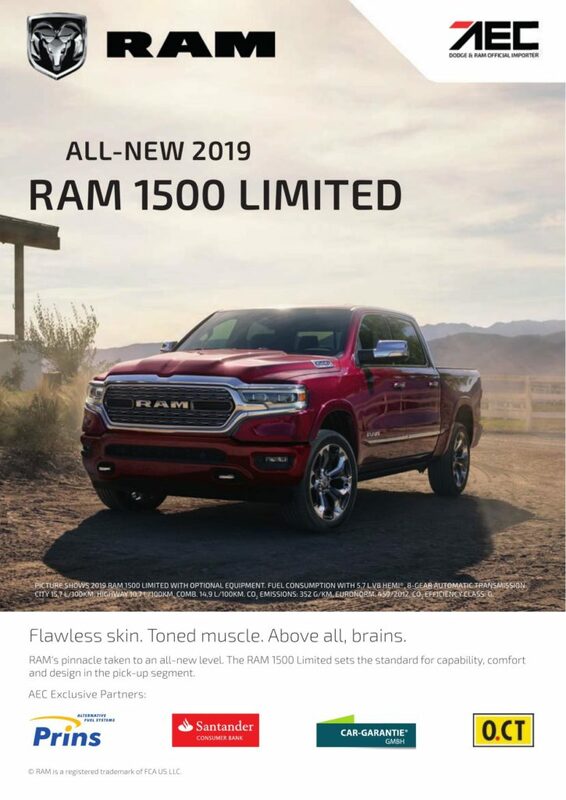 I want to buy a Dodge or a RAM but my regular dealership cannot supply these vehicles. Can my dealership of choice apply to become a dealer? AEC Europe has strict acceptance criteria with which dealers must comply. To inquire about becoming an AEC dealer, please contact our business development team. I would like to receive more information. Where can I request a brochure? Please contact your AEC dealer to receive a free printed brochure for the vehicle(s) of your choice. To find a local AEC dealer, please visit our dealer locator or contact our customer service center with your request and we will forward it to the closest AEC dealership. Is there anything special I need to consider prior to importing a car? When buying an imported Dodge or RAM vehicle from an AEC dealer, you can be rest assured that every little detail has already been taken care of. Our vehicles come available with our standard, 24-months AEC warranty and ready for registration in the local market. You can order your vehicle with European radio, navigation maps and instruction manuals in your own language. I own a company with a valid VAT-ID Number and would like to reclaim the VAT. Is it possible? When purchasing a new Dodge or RAM vehicle from an AEC dealer, your invoice will usually state the VAT amount separately, which enables European companies to reclaim the VAT in conformity with the local tax laws. You must, however, consult your tax advisor prior to purchasing a new vehicle. I was told that imported Dodge & RAM vehicles do not come with a factory warranty in Europe. Is this true? Yes, Dodge & RAM factory warranties does not cover vehicles that are imported into Europe. AEC has developed an exclusive new car warranty product together with one of the largest European insurance companies that works just like the manufacturer’s warranty. Rest assured that your vehicle is covered – even in the unlikely case of a breakdown. Do all Dodge & RAM vehicles have the AEC warranty in Europe? No. The AEC warranty is exclusive to the AEC dealer network. You will only enjoy the benefits of the extensive AEC warranty if you purchase your vehicle from an AEC dealer. If you want to find out more about our AEC warranty, please visit our dealer locator to for the dealer closest to you. What does the AEC Warranty include? AEC dealers offer two types of warranties: AEC Basic and AEC Premium, both with minimum 24-month duration. AEC Basic offers 100% refund for labor and material cost for damage claims to the engine, transmission and differential according to the AEC Basic insurance terms for 24 months or 100,000 km, whichever comes first. AEC Premium offers 100% refund for labor and material cost for damage claims on all mechanical and electronic parts of the vehicle according to the AEC Premium insurance terms for 24 months or 100,000 km, whichever comes first. To read the full AEC warranty terms please contact your AEC dealer. Aren’t all warranties the same? No. The AEC warranty was developed by our team specifically for the European market. For example, our AEC Premium warranty offers 100% coverage for warranty claims on all mechanical and electronic vehicle parts according to the AEC Premium insurance terms for 24 months or up to 100,000km, whichever comes first. This kind of coverage is hard to match, as the majority of other warranties use the coverage amounts of a “used car warranty”. To read the full AEC warranty terms please contact your AEC dealer. How long does the AEC warranty cover my vehicle? The standard AEC warranty lasts 24 months or up to 100,000 km, whichever comes first. You can extend this warranty for additional 12 or 24 months, or have 36 or 48 month of total new vehicle warranty, up to 100.000 km, respectively. I have imported my own vehicle and have no warranty; can I buy an AEC warranty? No. The AEC warranty is exclusive to the AEC dealer network and cannot be purchased separately. I have seen that all dealers in my EU country offer Dodge & RAM vehicles with a “warranty”. What kind of warranty is it? The vast majority of the warranties offered on the market are so-called “used car warranties”. It means that when buying a new Dodge & RAM vehicle with such a warranty, the vehicle is treated as a used car, not new. The coverage and payments on used car warranties are significantly different from new car warranties. Do I have to service the vehicle in the same dealership where I have purchased the car? You must service your vehicle according to the service intervals found in the back of your owner’s manual. You are not obligated to service it in the same dealership; however, the maintenance work must be done by an authorized garage. To find an authorized garage in your area refer to the warranty agreement that was provided to you by your AEC dealer. 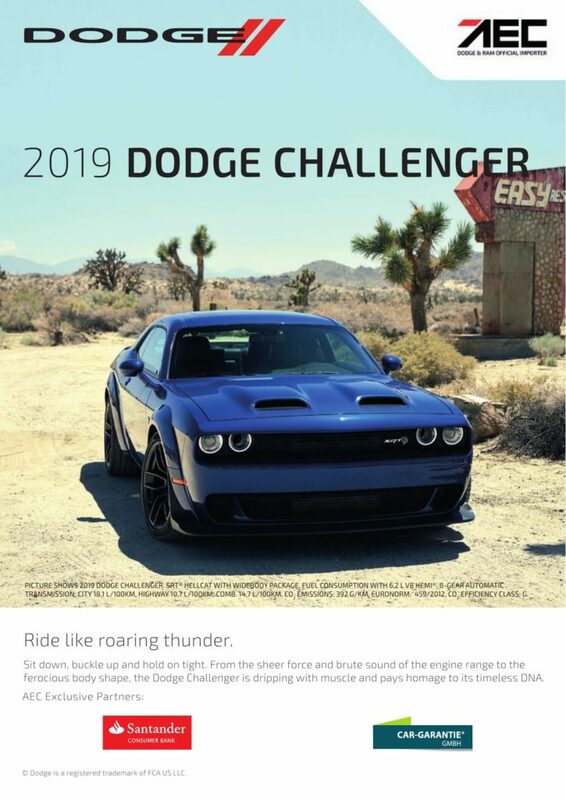 I have requested an insurance quote for a Dodge or RAM vehicle and my insurance agent could not find the type number in their European database. How can I make sure I am not overpaying? AEC Europe’s service portfolio includes agreements with leading insurance companies for all our offered vehicles at extremely competitive terms. 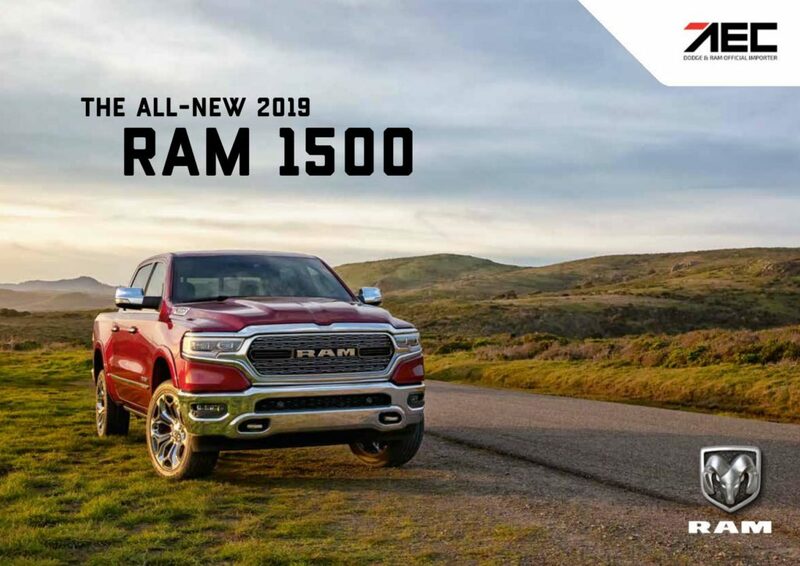 When buying a Dodge or RAM vehicle from an authorized AEC sales partner, simply give your details to one of our sales partners and you will receive a quote the same day. 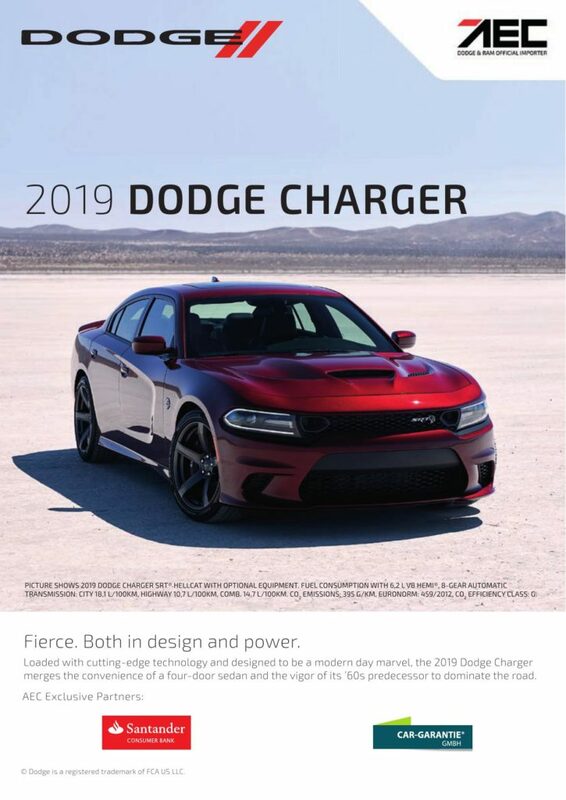 Do I have to undergo any additional processes to register the Dodge or RAM vehicle? The Dodge & vehicles sold through the AEC network are ready for registration in the country where the dealer is located. We strongly advise you to purchase your vehicle from an AEC dealer near you. To find an AEC dealer, please visit our dealer locator or contact our customer center with your request, which will be forwarded to the closest AEC dealership. My country requires a Certificate of Conformity (COC) in order to register the vehicle. Do you provide this certificate for the Dodge & RAM vehicles? Dodge & RAM vehicles do not come with a Certificate of Conformity (COC). 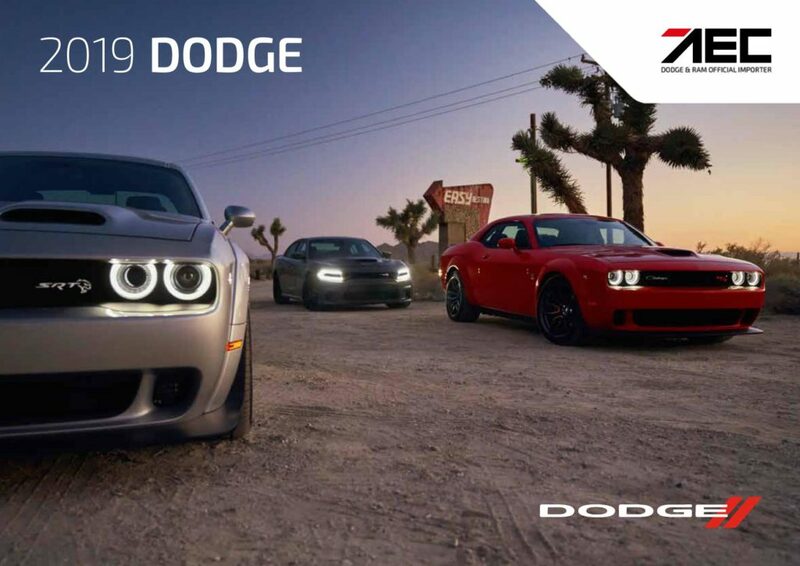 However, the Dodge & RAM vehicles sold through the AEC network are ready for registration in the respective country where the dealer is located. Does AEC offer financing and leasing conditions? AEC dealers offer excellent financing and leasing conditions through our partner bank. Contact your local AEC dealer for more information.